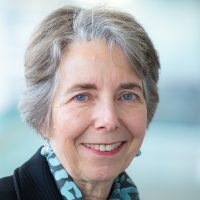 Dr. Joan L. Bottorff is Director of UBC’s Institute for Healthy Living and Chronic Disease Prevention and a faculty member in the School of Nursing. She has extensive expertise in qualitative research methods and is currently Editor-in-Chief of Global Qualitative Nursing Research (Sage). Dr. Bottorff’s current research focuses on the development of novel gender-sensitive and gender-specific interventions to strengthen tobacco reduction among women and men, and to enhance cancer prevention initiatives targeting other health behaviours. She is also a co-investigator on research teams developing new approaches to promote men’s health, support lifestyle change across diverse groups and contexts, and support rural palliative caregivers. She teaches courses in research methods, nursing theory and nursing education. Bottorff, J. L. (Co-PI). Campus Health (VOICE) project. BC Ministry of Health (with oversight by Interior Health), 2015-2018, and 2018-2021. Johnson, S.T. (PI), Bottorff, J. L. (CI). POWERPLAY: Building employee health and safety through prevention, Alberta Ministry of Labour, Occupational Health and Safety Futures Program, 2018-2019. Hole, R. (PI), Bottorff, J. L. (Co-applicant) as part of team of 15 co-applicants and 16 partners. Transitioning youth with disabilities and employment: The TYDE project. CIHR/SSHRC and partner + in-kind contributions, 2018-2023. Caperchione, C. (PI), Bottorff, J.L. (CI), Development, delivery, and evaluation of the HAT-TRICK Train-the-Trainer Module, MSFHR, 2018-2019. Bottorff, J.L. (PI), Dads in Gear: A tobacco reduction program for Aboriginal communities in BC. First Nations Health Authority, 2016-2018. Bottorff, J.L. (PI), Healthy weights for children- Phase 3 project evaluation, The Bridge Youth and Family Service Society / Public Health Agency of Canada, 2017-2020. Caperchione, C. (PI), Bottorff, J.L. (CI), HAT-TRICK: Physical activity, healthy eating and connectedness in male hockey fans, Canadian Cancer Society, 2016-2018. Bottorff, J.L. & Oliffe, J.L. (Co-PIs), Dads in Gear: An innovative men-centred approach to smoking cessation, Canadian Cancer Society, 2014-2017. Bottorff, J.L. (NPI), Harmonization: Building a collaborative framework for cancer prevention, Canadian Cancer Society, 2012-2017. Sawatzky, R. (NPI), Bottorff, J.L. (CI), Integrating a quality of life assessment and practice support system in homecare services for older adults with life-limiting illness and their families. CIHR, 2015-2019. Sawatzky, R. (PI), Bottorff, J.L. (CI), Integrating a quality of life assessment and practice support system in palliative homecare. Technology Evaluation for the Elderly Network, 2014-2016. Caperchione, C. (PI), Bottorff, J.L. (CI), If they build it, will they act? Novel approaches to increasing physical activity among breast cancer survivors, Canadian Cancer Society, 2014-2016. Oliffe, J.L. (PI), Bottorff, J.L. (CI), Masculinities and men’s depression and suicide network, Movember Canada, 2013-2016. Oliffe, J.L. (PI), Bottorff, J.L. (CI), Advancing the health promotion efforts of prostate cancer support groups, CIHR, 2012-2016. Visit Dr. Bottorff’s graduate students’ Theses & Dissertations for examples of graduate student research. Dr. Bottorff is available to supervise graduate students including MSN thesis and non-thesis, and IGS Master’s and PhD. Click here to see publications indexed in PubMed.